Our journey began in 1994 when a number of global representatives met at healthcare conferences around the world. During these conferences, throughout 1994, 1995 and 1996, it was identified that there was a real need for an international alliance of patient organizations. Three years later, The International Alliance of Patients’ Organizations was formed. Take a moment to read through how we have grown since. As global representatives meet at a number of healthcare conferences, the need for an international alliance of patient organizations is identified. A task force and three subcommittees are formed by volunteer patient representatives to prepare the emerging alliance. The International Alliance of Patients’ Organizations (IAPO) is formed and registered as a not-for-profit foundation in the Netherlands. We start working with World Health Organization (WHO) to promote patient-centred healthcare around the world. Our Capacity Building Initiative, along with our Policy Statement and Guidelines on Health Literacy, are launched. We are re-registered as a membership organization and start developing key materials for member patients’ organizations around the world. We also start developing formal partnerships with health professional bodies including The International Council of Nurses (ICN), The International Federation of Pharmacists (FIP) and The World Medical Association (WMA). Later in the same year we submit extensive comments on the WHO report, Preparing a healthcare workforce for the 21st Century: The Challenge of Chronic Conditions. We hold our first Annual General Meeting (AGM) for our membership and hold nominations to create our first Governing Board. Later in the same year, we create an online capacity building resource, launching The Patients Exchange. In addition, we bring together our patient representatives and healthcare stakeholders at the first Global Patients Congress entitled, Trust us, we’re patients. We are also invited to be part of the core steering group for the WHO Patients for Patient Safety initiative. To complete a busy year, we launch our Policy Statement and Guidelines on Patient Involvement and publish What is Patient-Centred Healthcare: A review of Definitions and Principles. "This Congress has shown how much can be achieved when patients' organizations from around the world come together. I have experienced an amazing sense of community and shared values between patient leaders from Africa, the Americas, Asia and Europe." WHO recognizes our influence and work and we are granted official relations status. Another high point of the year is holding a meeting on patient-centred healthcare at the United Nations, working in collaboration with the United Nations NGO Health Committee. Our twinning programme is conceived and launched as part of our capacity building initiative. We also launch our Patient Safety Toolkit: Addressing Global Patient Safety Issues: An Advocacy Toolkit for Patients’ Organizations, at our first African regional meeting. The third Global Patients Congress: Making patient-centred healthcare a reality for patients worldwide, is a great success. We publish our policy statement on Patient Information at our first Latin American regional meeting and our Strategic Plan 2010-2014: Putting Patients at the Centre of Healthcare, is finalised. We hold our first official side meeting at the WHO World Health Assembly (WHA) on Non-communicable Diseases (NCDs) and the Development Agenda. The fourth Global Patients Congress: Strengthening healthcare systems globally: The value of patient engagement, is a resounding success. Our first regional strategy document, to guide activities and outreach on regional levels, is also published. We share the global patient voice at the UN high-level meeting of the UN General Assembly on the Prevention and Control of NCDs. Our toolkit on Working with Partners and Stakeholders is also published and our first Western-Pacific regional meeting is held. As a young organization, this event was an excellent opportunity for us to network with other patients’ organizations and learn the best ways to develop our alliance. It was also useful for us to learn more about issues such as patient safety and how patients’ organizations can use social media. Hearing the multi-stakeholder perspective was also invaluable. Our Review of Patient-Centred Indicators is published and the fifth Global Patients Congress: Achieving Patient-Centred Healthcare: Indicators of Progress and Success, is held. We also formalized our collaborations with the International Hospital Federation (IHF) with a memorandum of understanding. We publish our Information and advocacy toolkit on biological and biosimilar medicines and hold our first South-East Asian regional meeting. 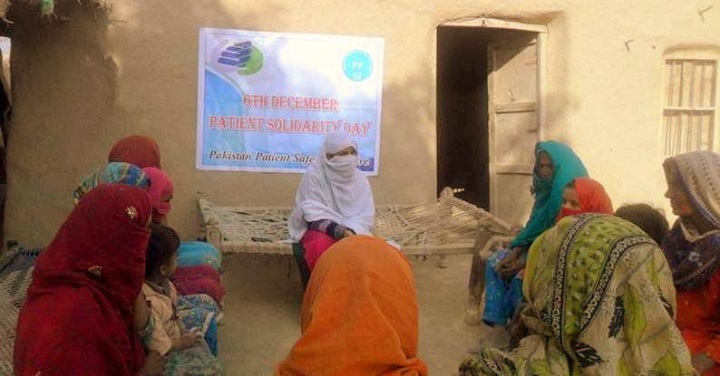 A number of our members organize activities to mark Patient Solidarity Day across Africa. We register as a UK charity. The sixth Global Patients Congress: Better access, better health: A patient-centred approach to universal health coverage is our most successful Congress ever leading to IAPO principles on universal health coverage. We are awarded special consultative status with UN ECOSOC. We are an original signatory of the Consensus Framework for Ethical Collaboration which we developed with international health professional associations and the international pharmaceutical industry. We host Patient Solidarity Day across the world. We attend the WHO's World Health Assembly, host our biggest ever Latin American Regional Meeting, take part in four WHO Regional Committee meetings and celebrate Patient Solidarity Day with more organizations than ever before. 108 organizations across 32 countries take part in the Day and together we reach over 100,000 people. We host the 7th Global Patients Congress in London from 9-11 April. We host three side meetings at the WHO's World Health Assembly. If you would like to find out more about our organization, or you would like get involved to help us achieve our future goals, please get in touch.